www.andysymonds.fr : les courses, les photos, les dessins...: Volcanic running - round one. A roundup. How did it go? - I went out fairly steady, keen to get to the top of the crater rim feeling fresh enough to let loose once it got scenic and a little technical. And that's about what happened. Leaving the lighthouse, we ran up for the first hour in the dark, and I got to know one of the Americans, Joe Grant. It turns out that if you speak to him in a British accent he replies with one, but amongst the Americans he's got the proper western twang. He also speaks French, so that makes three languages.. I then worked my way through the group of runners ahead and found myself in third chasing Kilian and Dakota by the top. I did at one point catch and run with Kilian briefly, but after a few minutes he accelerated and got back onto Dakota's heels. It stayed that way for the next twenty odd miles, as I trailed the two of them by about a minute or two. I was confident that I'd reel them in on the mega descent of 2500m off the last peak and down to the sea. I did, but not quite as easily as I'd have liked. Maybe I need to nip back to the uk to touch up my downhilling, perhaps do a race or two with Tom, that or it could be that the 40 odd miles had taken there toll on my quads, in any case I wasn't feeling as nimble as usual on the down. Dakota and I reached the beach together, Kilian having blown with a couple of k left to drop. The organisers thought it would be nice to add a six km run-in to finish the race in the town above the sea. It was very thoughtful of them as it involves a killer of a steep cobbled road, winding up the cliffs for about a thousand vertical feet. Just what you would hope for at the end of a fifty miler. Not. Dakota still looked strong and his legs apparently had a little more spring left in them than mine. I wanted to win the race as well, but I just couldn't go with him, and he slowly pulled a minute and a half out of me over these last few miles up and along through town to the finish banner. Kilian crossed the line ten minutes later, in a bad way, was stretchered into the medical tent, but quickly recovered. The heat had got to him. I'm from Cumbria and Kilian's a native Catalan, but it would seem that living in Provence and spending a large part of the year running in glorious sun-shine probably makes me the more used to dealing with high temperatures than Kilian's high mountain lifestyle. In any case, serious respect to Kilian. He's hardly run this year, only just properly finishing the ski season last week. I think if there's ever a time of year that he's slightly more beatable it's May, when he's fresh off he's his skis and has very few running miles in his legs. So, I'm 31 and still consider myself fairly young for this kind of long-distance racing. Apparently not. 21 in front of me and 24 behind! It's a shame there weren't a few more Brits over on La Palma, the race really being dominated at the elite end by large contingencies from both the States and France, as well as a few speedy Spaniards. Team Salomon France had a really successful day in the end, with Francois (D'Haene) adopting similar 'steady away' tactics to myself, pulling through to finish forth. Thomas (Lorblanchet), who I'd run with between kilometres 15 and 27 had some issues with his knee, but still managed a solid eighth. 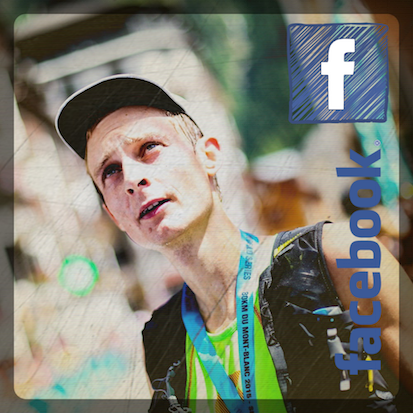 It's good to be helping put French trail running on the global map! Most of the runners over here will be heading off to Zegama in northern Spain later this week. I think that's pretty crazy. There's no way I could contemplate racing a rough mountainous marathon in just six day's time. It will certainly be an interesting one to follow. How many of the TransVulcania runners will finish? How will Kilian recover? How will the American speedster Max King enjoy the Basque rocks? Other than Max there won't be too many fresh legs on the start line. Hopefully Tom (Owens) will be bringing one pair of them. Today then, a day of recovery ice-cream and swimming pool, with some more photo shoots on the lava flows, then it's back home tomorrow. I'll probably do one more local race later in May (Provence trail running champs) before round two of my volcanic series, the Volcano Trail in Guadeloupe at the end of June.